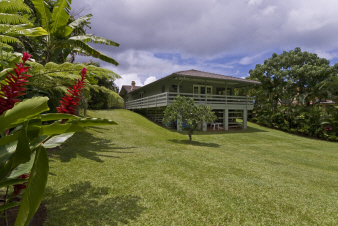 Additional Features and Amenities Majestic views of the Koolaus and peaceful surroundings are yours to enjoy in this fabulous 4 bedroom 3 bath home in Ahuimanu in Kaneohe. The property has been lovingly cared for and shows pride of ownership throughout. Take one look from the back lanai and fall in love with the pristine foliage and serenity enveloping you. Additional home features include new tile floors, upgraded kitchen, bonus family room or guest room with separate entrance, and a fireplace.